Your Foodie Moment: Eggenberg Brewery Visit and Beer Tasting, Český Krumlov Your Foodie Moment: Hotel Sacher Visit and dessert, Vienna. Berlin orientation walk. Dresden orientation walk including a local market and Frauenkirche Church. Tour Prague's old town including the Jewish quarter, clock tower, charles bridge and wenceslas square. Tour Eggenberg Brewery and enjoy a tasting. Visit the historic Hotel Sacher and sample the Sacher Torte. 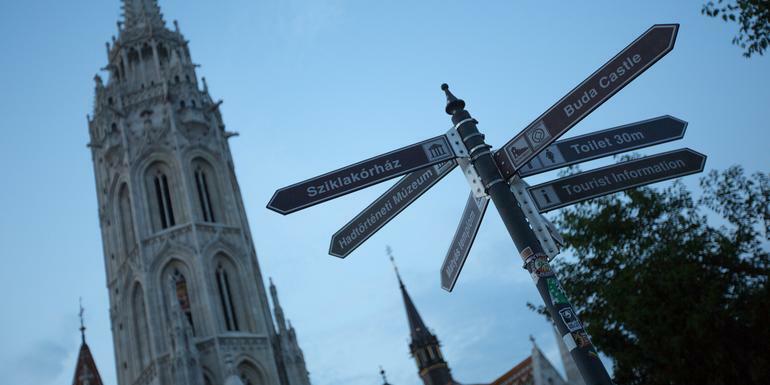 Budapest orientation walk. All transport between destinations and to/from included activities. Charles Bridge by day is packed with vendors and street musicians. At night, it is less crowded, and it's much easier to appreciate the scenery as well as the ever-so-slightly sinister quality of the statues looming overhead. Cross the bridge and you'll find yourself in Mala Strana, a far less crowded district that offers the perfect atmosphere for some introspective wandering. If you're in the area and want to experience traditional Czech pubs, which are guaranteed to be loud, lively, and packed with locals on any night of the week, this is the place to find restaurants serving traditional Czech cuisine such as fried pork cutlets, goulash, and dumplings. Enjoy a full day to explore at your leisure. Wander the elegant streets some more, take in some of Europe's most distinguished art galleries, visit the stunning Lippizaner horses of the renowned Vienna Riding School, experience mass with the Vienna Boys Choir, or settle into a café and order a slice of mouthwatering Viennese cake.